A huge Airbus A350-900ULR is being delivered to Singapore Airlines today where, once in service, it will make the longest continuous flight in the world, from Singapore to Newark airport—a flying time of just under 19 hours. The ULR in the name of the craft stands for “Ultra Long Range,” which is an apt name, considering this beast can cruise for 9,000 nautical miles (or 9,537 miles). The A350-900 is capable of flying further than any other commercial aircraft, with a maximum flying time of around 20 hours. No one needs to be on a plane that long. That’s just ridiculous. 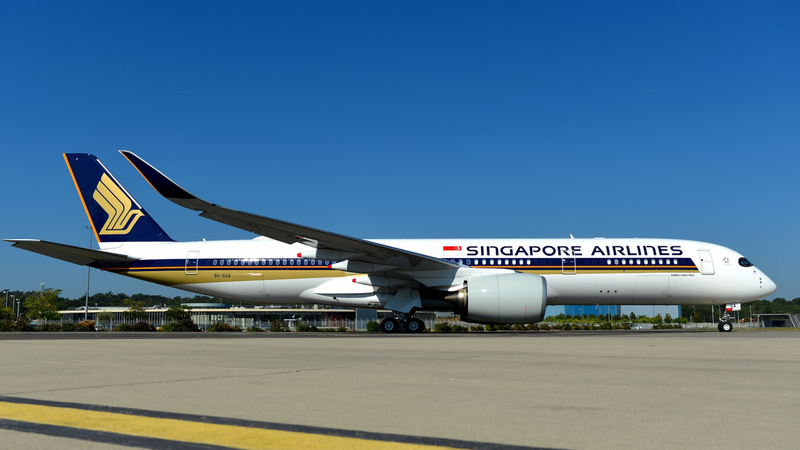 The plane will enter service starting October 11, and is the first of seven aircraft ordered by Singapore Airlines to increase direct travel between Singapore and Newark, two cities that are quite literally half a world away from each other. Airbus was able to accomplish this long flight time with just a few tweaks to the fuel system, allowing the plane to carry 165,000 liters of fuel, an increase of 24,000 over normal A350 planes. That gives the A350-900 1,600 miles of extra range. Aerodynamic updates also reduced fuel needs for the A350-900 by 25 percent over other Airbus models. Of course, the extra weight requires extra fuel—a problem well known to aerospace engineers. The bigger the plane, the less fuel efficient it is because it has to haul all that extra fuel. It’s a circular problem where more fuel is needed to haul the extra fuel that will propel the plane farther. The largest commercial plane in the world, the Airbus A380 Super Jumbo, has 500 seats and usually scores about 65 miles to the gallon per seat, according to the Wall Street Journal. Smaller planes are more efficient on longer flights so the A350-900 comes with a twin-aisle wide body style, with two classes for flyers to choose from—67 seats in business and 94 in economy. “It takes fuel to carry fuel,” Airbus spokeswoman Mary Anne Greczyn told the Journal. The company believes that the roomier aircraft will be comfortable enough for the nearly day long flights, providing customers a quieter cabin and more space to stretch and move around.Air inside the cabin is recycled every two minutes to make flyers more comfortable and cut down on the effects of jet lag, Airbus claims. There’s also a whole suite of entertainment opinions and wifi as well, but with a 19-hour flight, you might just want to bring a big bottle of Ambien if you don’t want to end up counting your teeth over and over for hours on end. If you’re already a misanthrope, 19 hours on a plane probably won’t cure you of your hate for humanity, but is perfect if you hate connections more. This isn’t Singapore Airlines’ first foray into long-distance flights. From 2004 to 2013, the airline flew to Newark airport from Shanghai on an Airbus A340-500. 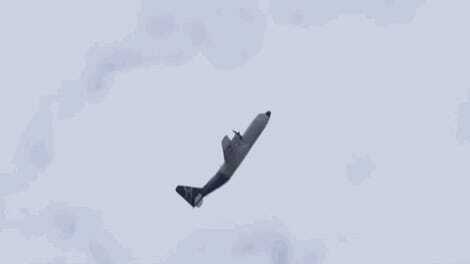 That flight required 222,000 liters of fuel—10 times the weight of the passengers aboard, according to The Guardian. That flight was an 8,900 nautical mile trip over the North Pole. The flights were eventually canceled due to revenue losses. Several plane manufactures are taking up the challenge of long-haul, non-stop flights, which allowed airlines to serve underserved areas rather than relying on connecting flights to get people to flyers destination. Right now, the longest continuous flight crown belongs to the Boeing 777 that runs from New Zealand to Qatar, a distant of 9,025 miles with 16 to 17 hours of travel. So far, ultra long flights have been limited by engineering problems. Problems companies are now over coming with more efficient machines. Fuel is the second-highest cost airlines face, and getting fuel economy right can mean the difference between a huge bonus for airline CEOs and a mega-huge bonus. Of course, less seats in a plane means higher costs of tickets. These flights are aimed at high-earning business people who are willing to pay for the most direct route possible. Expect even “economy” to run a pretty penny. There’s no information yet on what exact path the plane will take. Singapore Airlines also plans to use the plane on its trans-Pacific flights from Los Angeles and San Francisco to Singapore. The company will take delivery of six more Ultra Long Range planes in the next year, and plans to ramp up direct flights to and from the U.S. from 40 to 53 by December, according to CNBC. That’s a lot of teeth-counting.